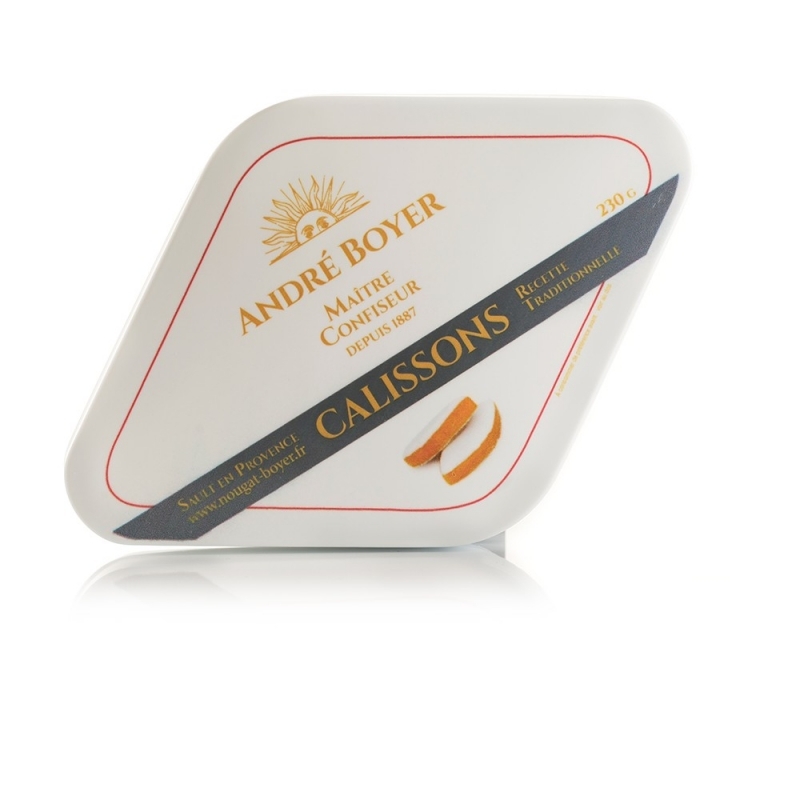 Made with candied fruit (melon, orange peel) and crushed almonds, calissons are one of Provence’s most famous traditional candies. They are shaped in delicate curves and coated in royal glazing. 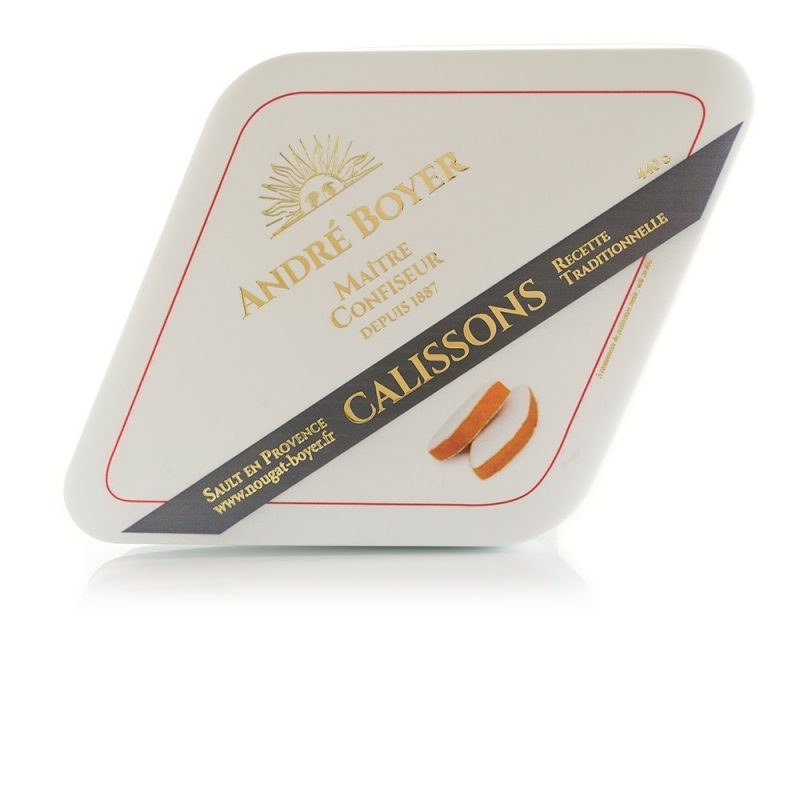 Calissons made by the André Boyer company are renowned for their subtle recipe, blending melon, orange peel and meticulously selected almonds. 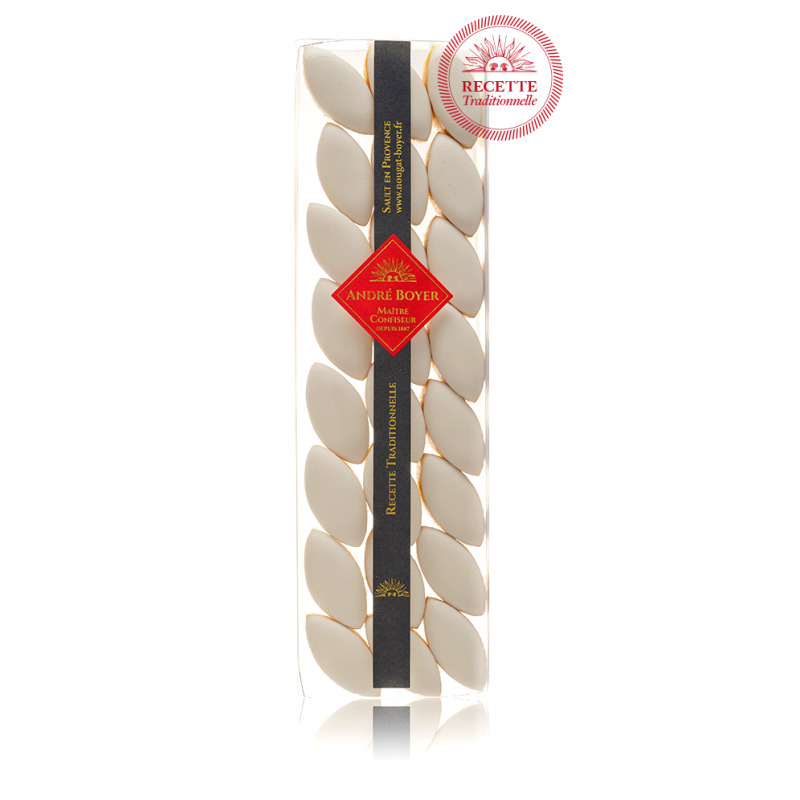 The fresher a calisson is, the softer its consistency. 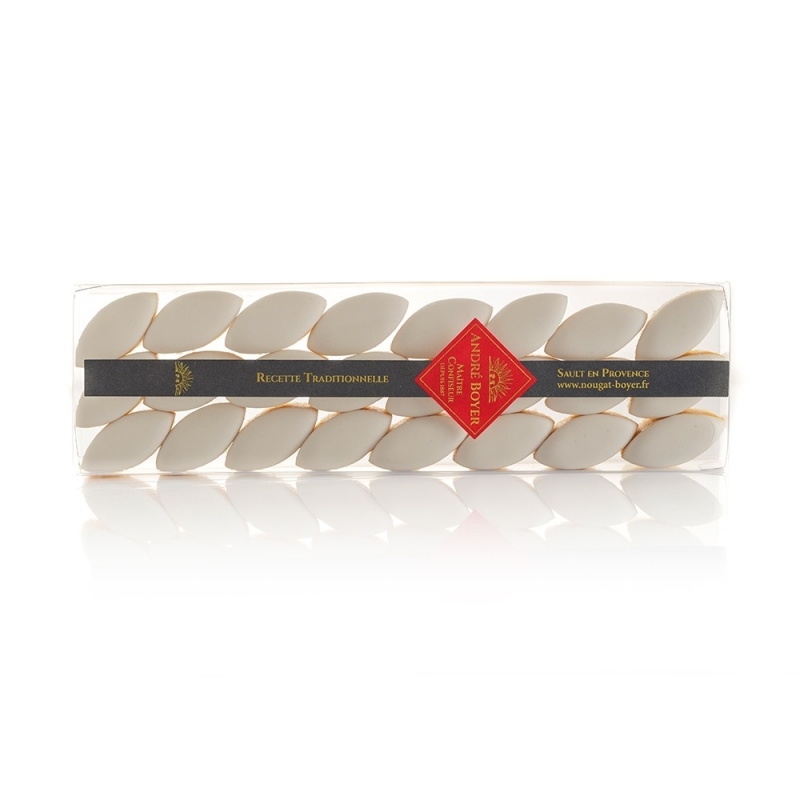 Our calissons are strictly made to order to ensure optimal freshness. The finish is assessed on the basis of the smoothness of the glazing surface.